We handle everything for you including Competitor & Keyword Research, Ad Copy Writing, A/B Testing, Ongoing Optimization & Easy to Read Reports. We will sculpt your ad traffic using optimized ad groups, better keywords, matching types, and negatives. Measuring performance, refining and optimizing landing pages are all keys to success. How your remarketing campaign is created depends on your unique goals and customers. We’ll use proven strategies to appeal to the right customers at the right times. Ensuring your products appear for the right terms depends on a well planned bid strategy and structure of your Google Shopping campaigns. We will monitor and spend according to what users find most compelling. Who doesn’t want cheaper clicks and cost per conversion? That’s why we like Bing and why you should too. We’ll optimize your existing setup, or create new campaigns with a keen eye on negative keywords, dynamic text, and targeting. Target by demographics and behaviors. Your clients are on Facebook. Get their attention and get results. 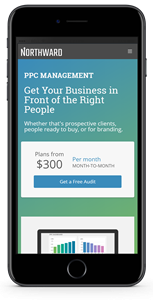 Get help managing and buying photo and video ads on Instagram. Drive awareness, website visitors and conversions. Use your current website visitors to create a Lookalike Audience to advertise to on Facebook & Instagram. Your next customer looks a lot like your last. An optimized user experience and design is crucial to convert paid search visitors into paying customers at higher rates. That’s why we are laser focused on landing page optimization. We can personalize your landing page based on the individual visitor, ad copy or their search term. We also provide multivariate and/or A/B testing allowing the best optimization ideas to win over time. Client introductions and questionnaire. We use this chance to learn about your business and your target customers. We work with you to set goals and expectations. We’ll also need access to or assist setting up accounts. We’ll dig into any existing campaigns and take away what we can from them. If this is for a new ad campaign we’ll move right on. We will focus on driving ROI and Methodical release of your campaign(s) into the wild so to speak.